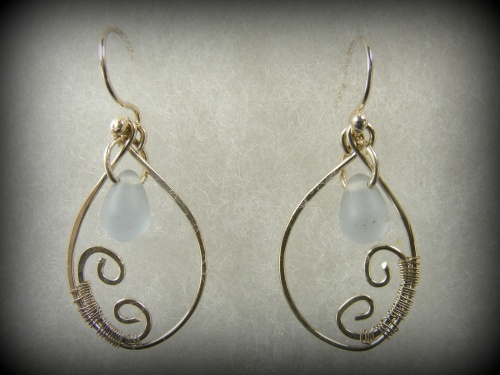 This pair of oval hoops have been woven with a small silver piece shaped like an C and then sky blue frosted glass drops hung in the middle. Soft and sweet. Pieces measure 1 1/4" long by 3/4" wide.